Homeowners may enjoy our management through service, training, chemicals and supplies as well as a professional pool inspection. We can provide openings, closings, weekly maintenance, pool inspections, homeowner trainings and manuals, service work and chemicals and products. Our staff is highly trained in industry programs including the Association of Pool and Spa Professional and National Swimming Pool Foundation. Pool Operation Management is a leader in residential pool maintenance service. 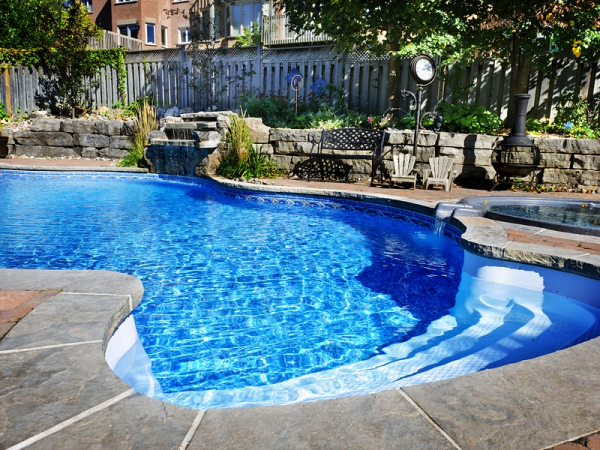 Our swimming pool leak detection and pool pressure testing services are performed by experts that not only service your pool, but can train you how to maintain your pool as well. Our residential pool inspections are thorough, as is our pool leak detection services and pool maintenance services. ** Delivery option available only for seasonal clients. Pool Inspections – We can perform a detailed visual professional pool inspection to let you know the condition of your pool. Great for new home buyers! Openings and Closings – We can get you opened for the pool season and closed for the winter. Homeowner Training Manual – A plan developed specifically for your pool outlining your pool’s procedures and information. Homeowner Training – Training includes details on how to run and maintain your pool. Weekly Service – We visit your pool once a week for water balance, chemical addition, backwashing and vacuuming. Chemicals/Products – Chemicals and products available for shipment and delivery**. Remember Pool Operation Management for any of your pool maintenance service needs. Residential Pool Inspection (Ocean & Monmouth Counties) – visual inspection of pool and components – Cancellation Policy: Must cancel prior to 24 hours (1 business day) or there is a $75.00 cancellation fee which can be applied to another inspection if you reschedule within the same year. POOL MUST BE UNCOVERED, OPEN AND RUNNING FOR INSPECTION. If we arrive at the inspection and the pool is in state which does not allow for inspection, a $75.00 travel fee will apply which can be applied to the inspection fee once performed. Residential Pool Inspection (All other counties in NJ) – visual inspection of pool and components – Cancellation Policy: Must cancel prior to 24 hours (1 business day) or there is a $75.00 cancellation fee which can be applied to another inspection if you reschedule within the same year. POOL MUST BE UNCOVERED, OPEN AND RUNNING FOR INSPECTION. If we arrive at the inspection and the pool is in state which does not allow for inspection, a $75.00 travel fee will apply which can be applied to the inspection fee once performed.